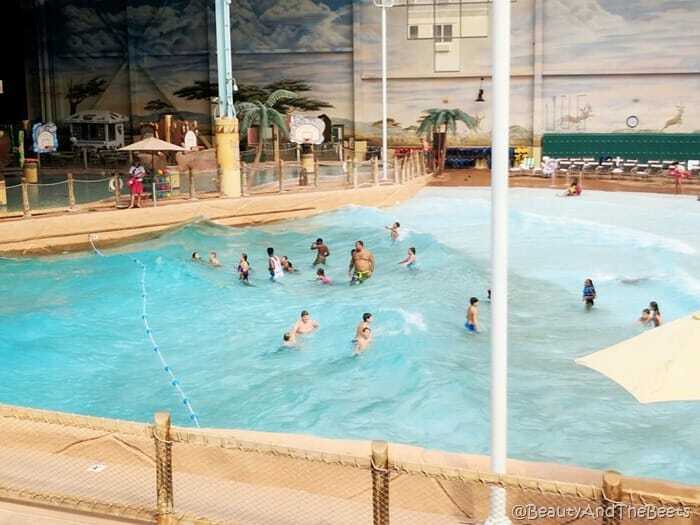 Did you know there is a waterpark that is open year round in Sandusky, Northern Ohio? 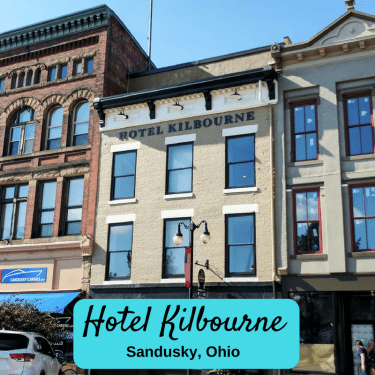 Did you know it snows in Ohio? 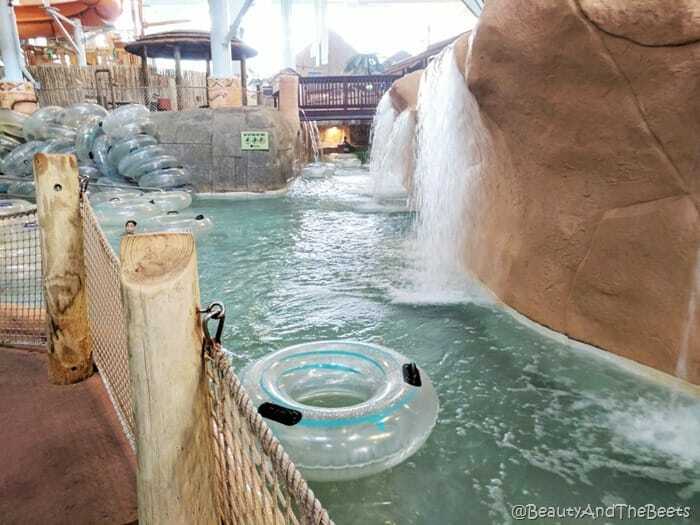 So how can one go to a waterpark in the middle of February during a blinding blizzard? 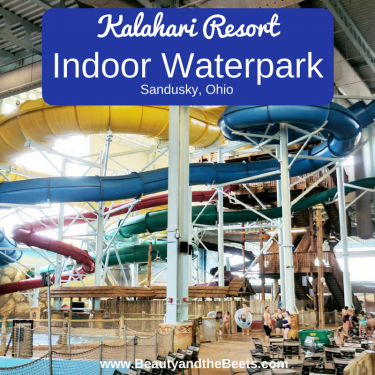 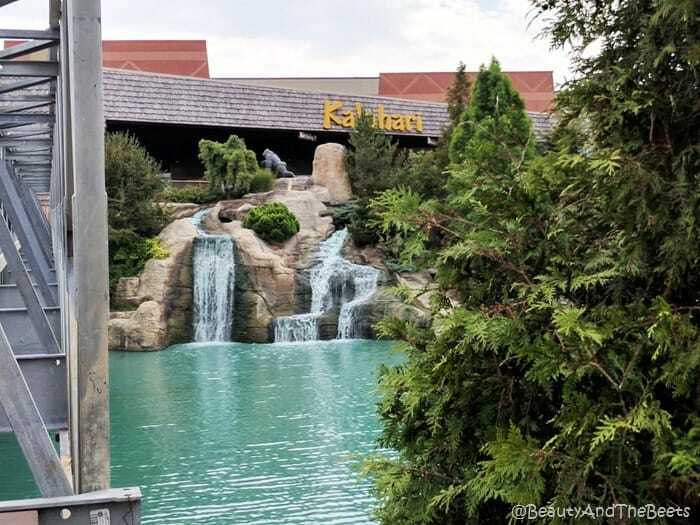 Well, there is an indoor waterpark at the Kalahari Resort in Sandusky, Ohio. 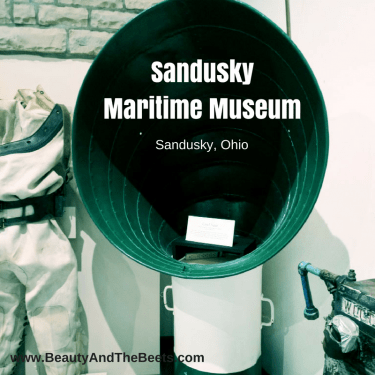 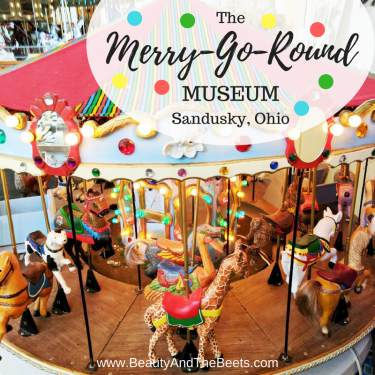 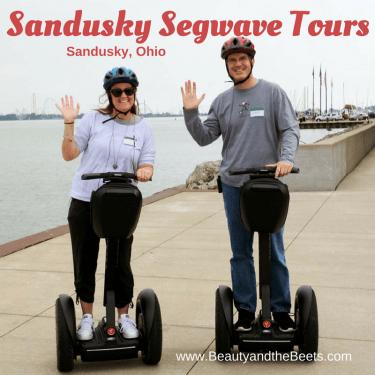 Yes, that Sandusky – the same city that is home to the world famous Cedar Point Amusement Park. 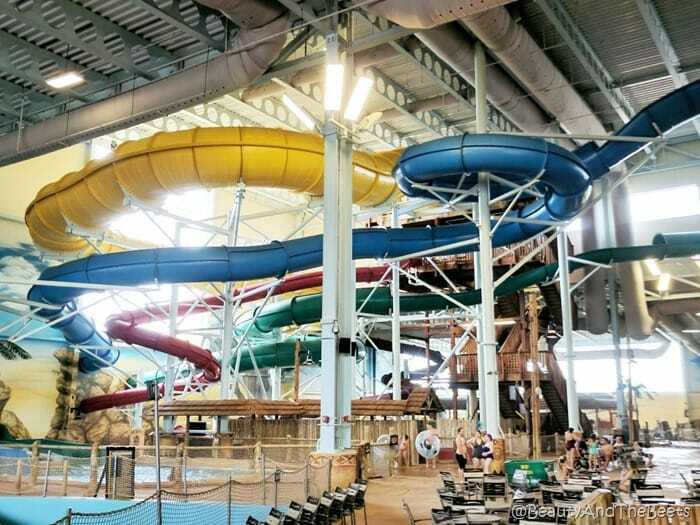 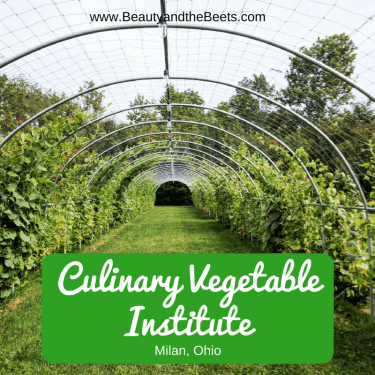 There is so much to do in the Lake Erie Shores and Islands region, including visiting a waterpark in the dead of cold Ohio winter. 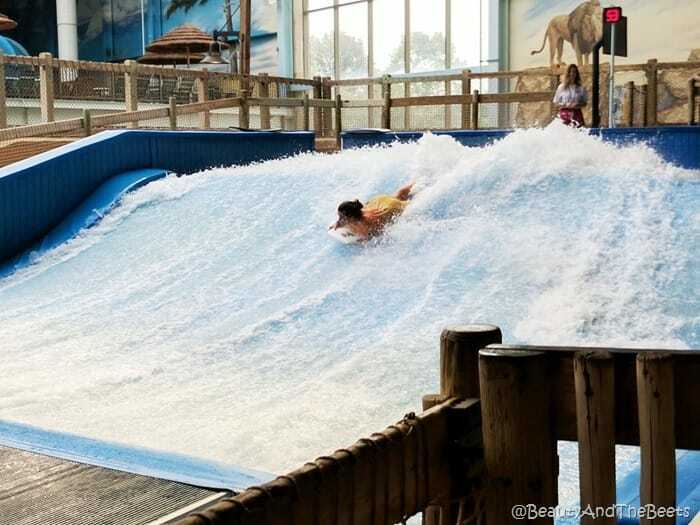 There is a 12,000 square foot wave pool, an uphill water roller coaster, and a lazy river. 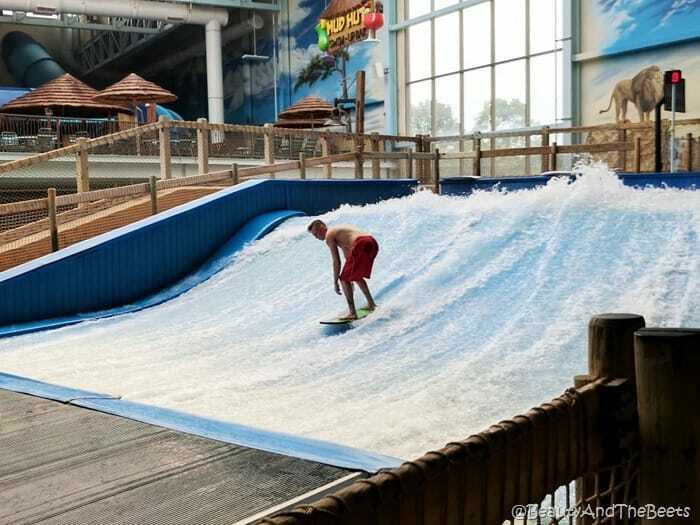 Take a surfing lesson on the Flow Rider. 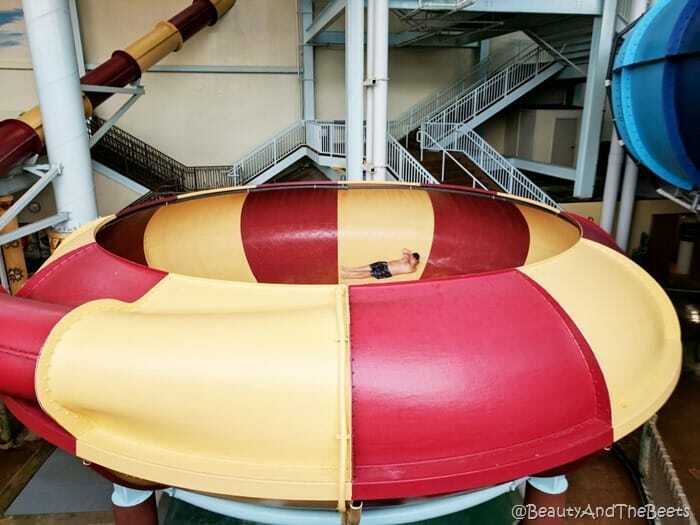 Or wipe out. 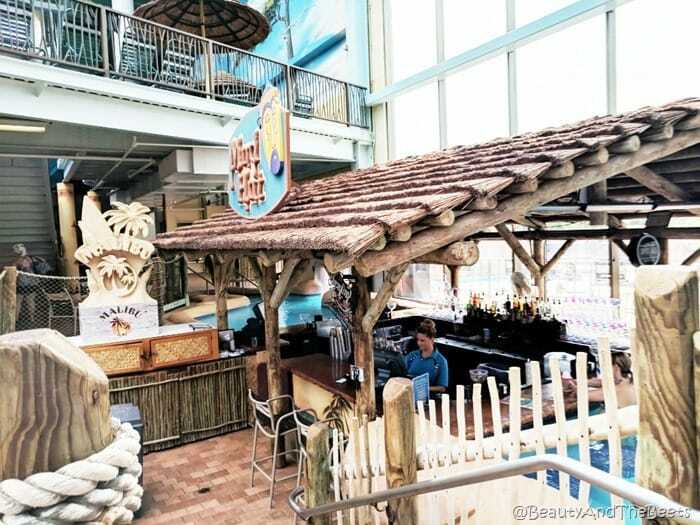 Adults can grab a grown up beverage at the swim up Mud Hut bar, or grab a stool on land. 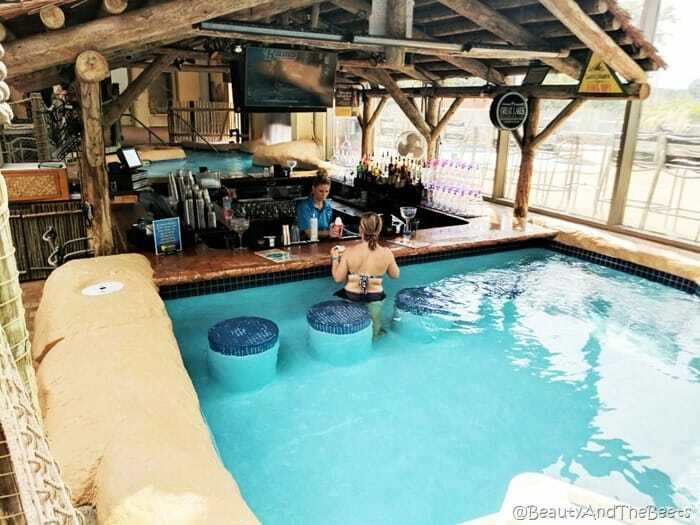 Pina Colada anyone? 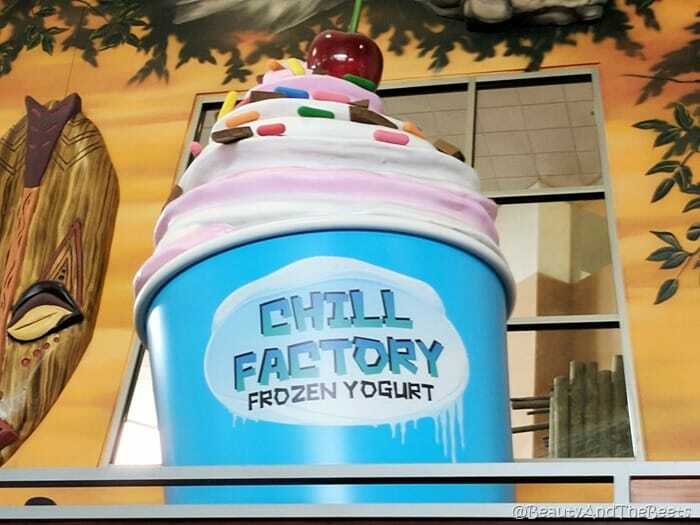 Children and adults can grab food from the Zulu Grill or an ice cream at the Chill Factory. 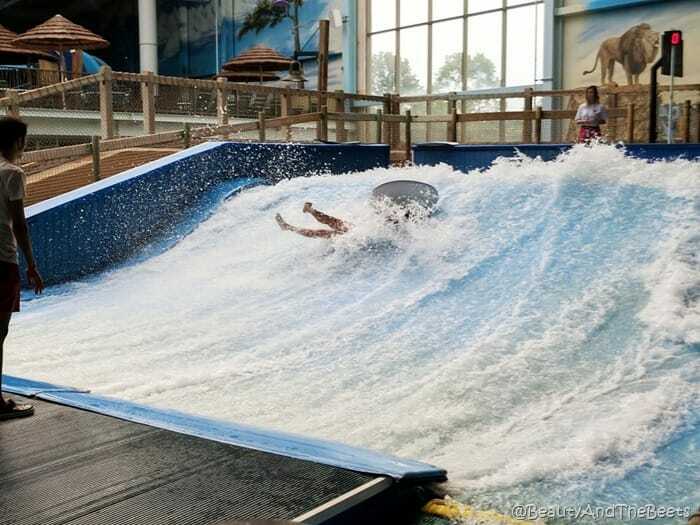 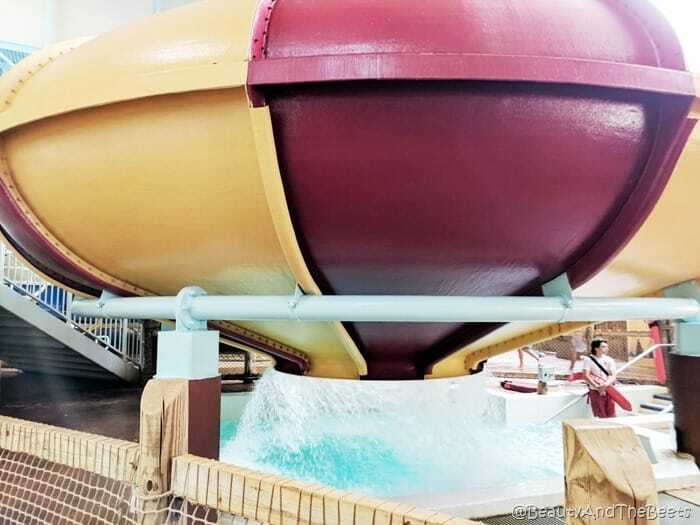 Ride the waves in the wave pool. 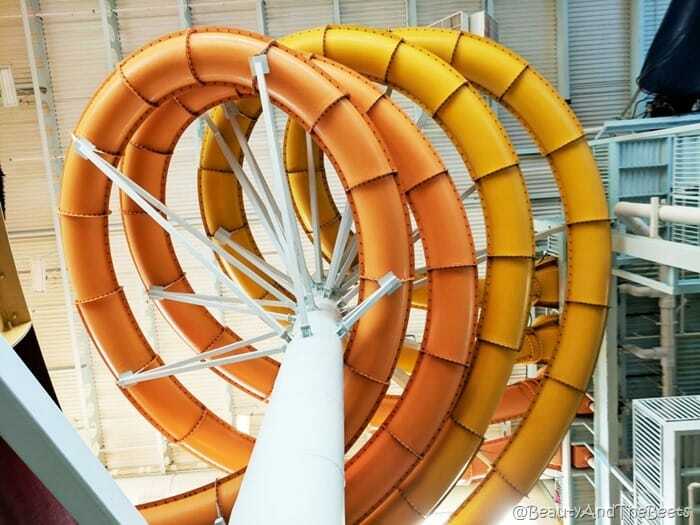 Take a spin on the Tanzanian Twister and get plopped into a pool of water. 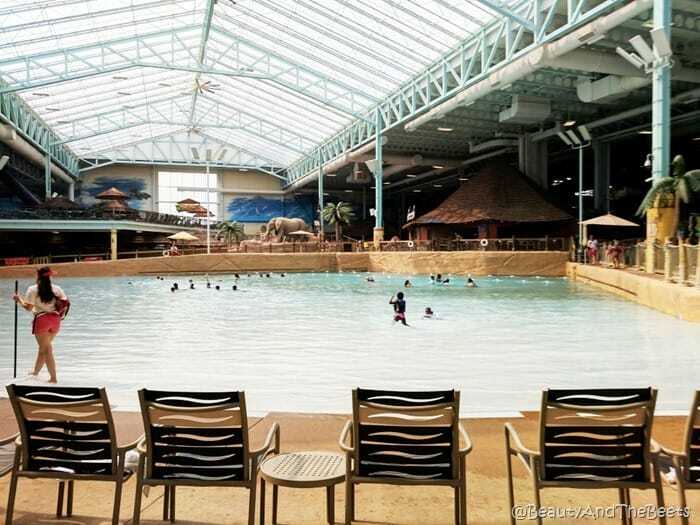 Don’t forget to wear your sunscreen, even in the winter. 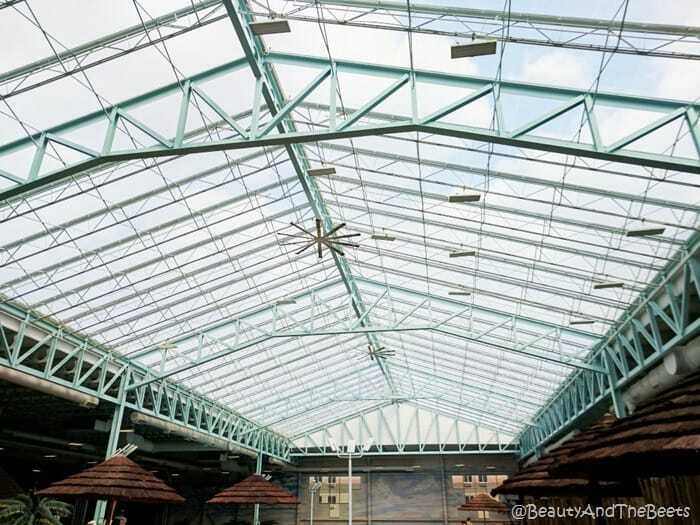 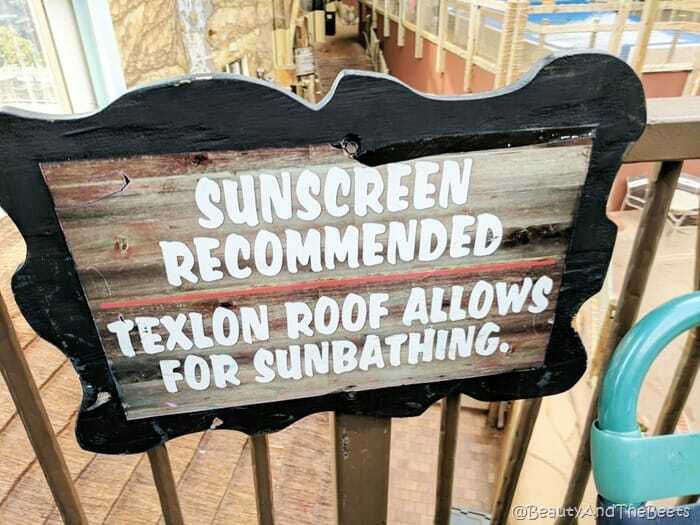 The Texlon roof does not block out the sun rays and you can and will still burn. 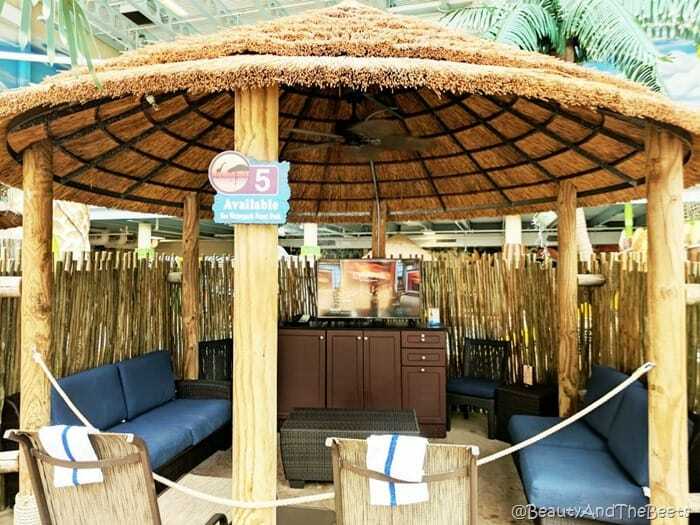 Rent a private cabana and don’t worry about having to fight for a deck chair. 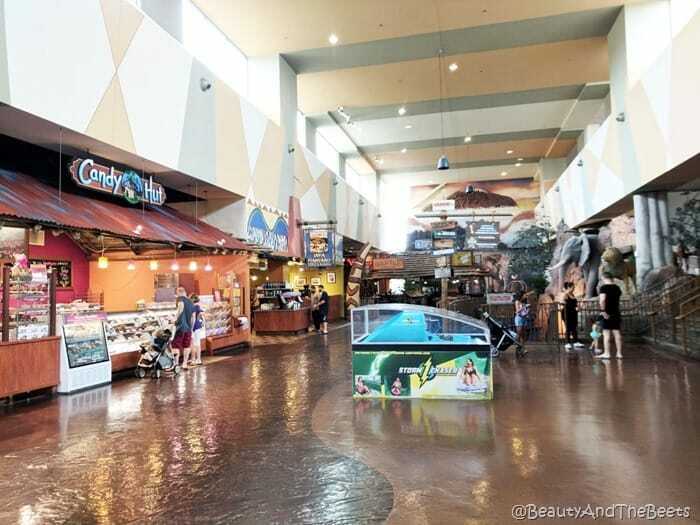 After Mr. Beet and I spent a day at the waterpark, we ventured up to the Candy Hut, one of the many shops in the lobby of the resort. 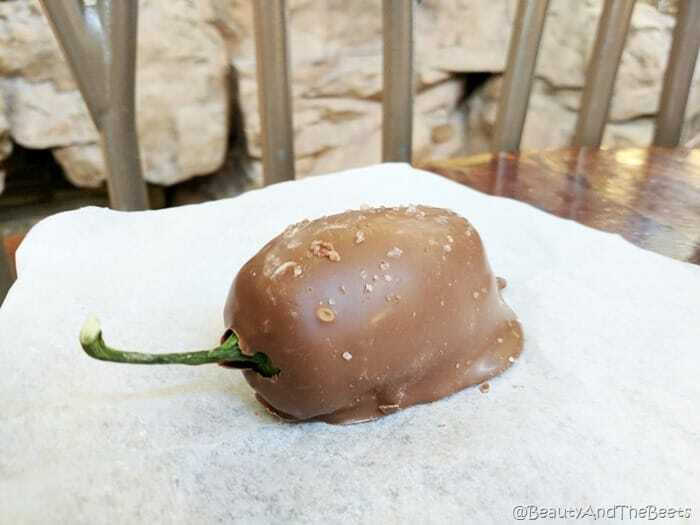 We bravely tried a chocolate covered jalapeno. 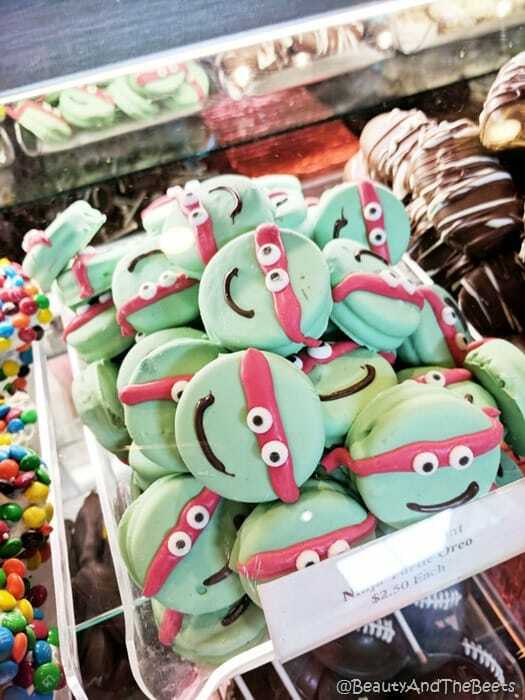 I should have stuck with the turtle cookies. 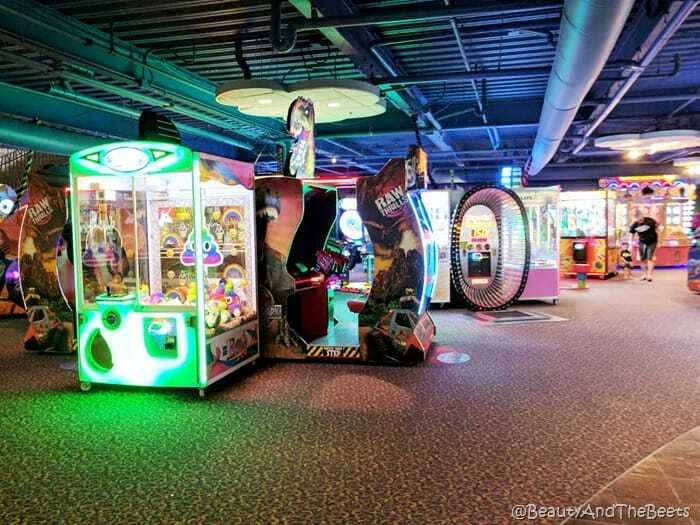 Just saying…. 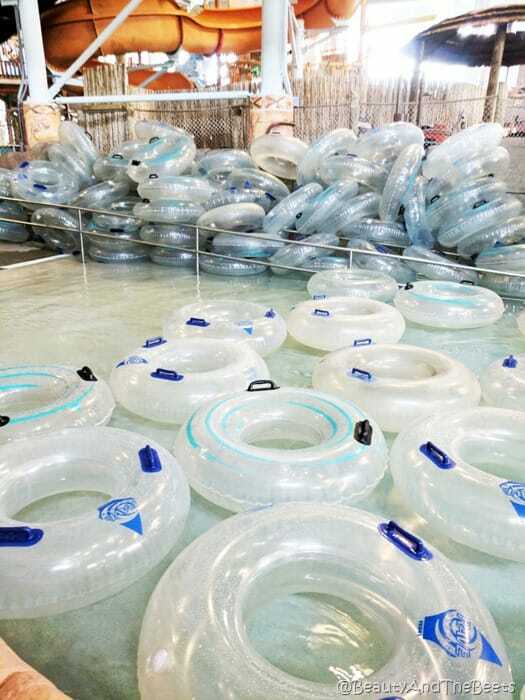 When you tire of the waterpark (like that’s possible), drop some coins in the arcade. 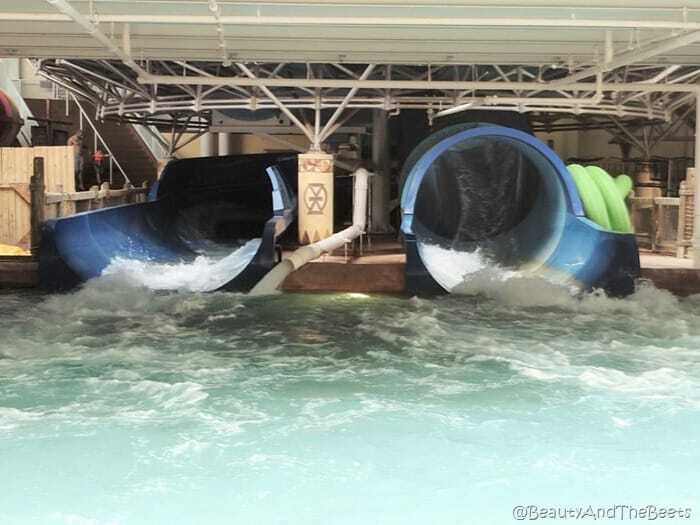 How fun is this? 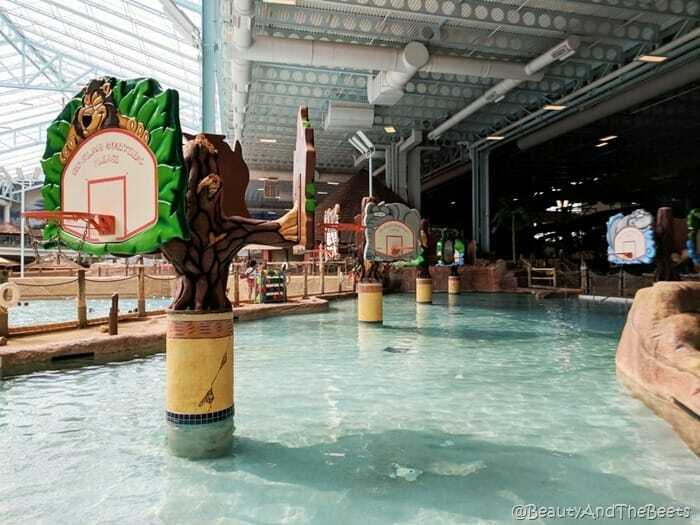 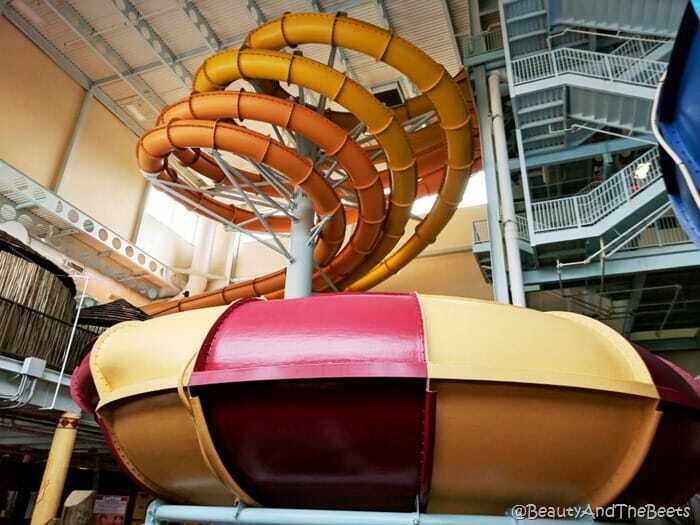 The Kalahari Resort and indoor waterpark are open 365 days a year, in any weather. 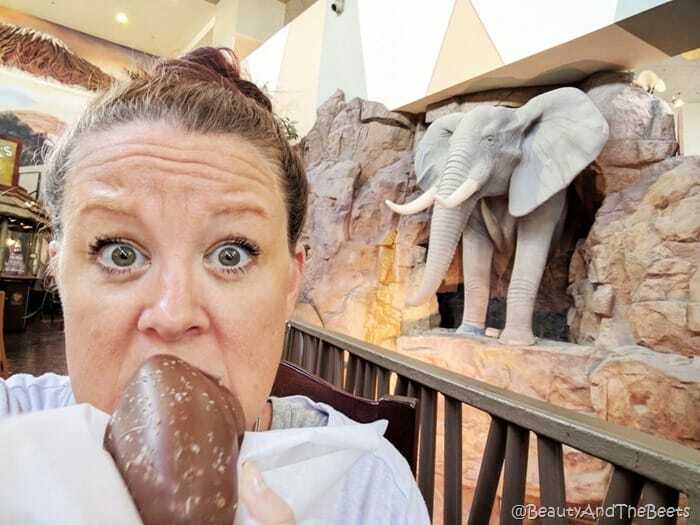 And if you are looking for a place for lunch within the resort, check out the Ivory Coast Restaurant, also located in the lobby area. 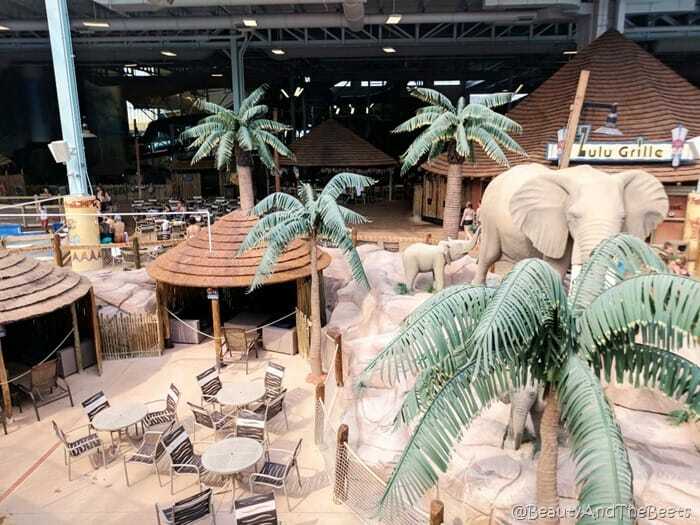 Check out the Kalahari Resort Sandusky website here. 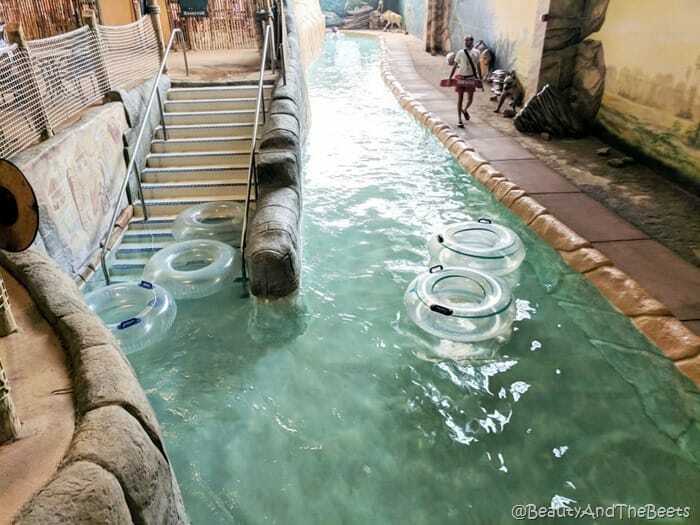 What an interesting place. 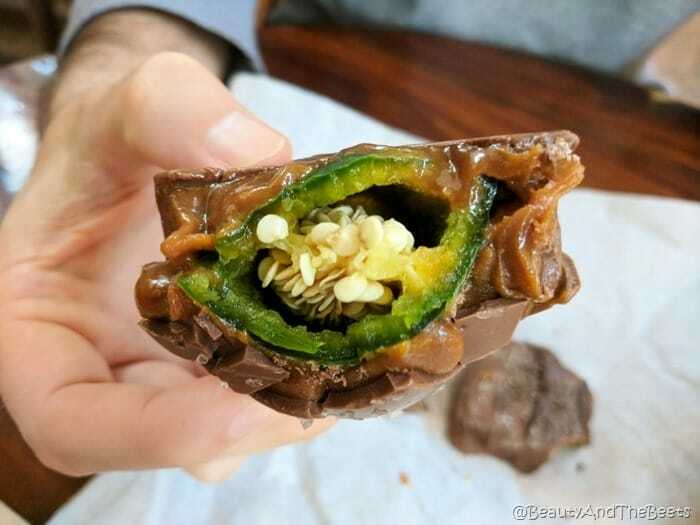 I would definitely try the chocolate covered jalapeño.